Computers used to take up entire rooms. Today, a two-pound laptop can slide effortlessly into a backpack. But that wouldn't have been possible without the creation of new, smaller processors — which are only possible with the innovation of new materials. But how do materials scientists actually invent new materials? Through experimentation, explains Sanket Deshmukh, an assistant professor in the chemical engineering department whose team's recently published computational research might vastly improve the efficiency and costs savings of the material design process. Deshmukh's lab, the Computational Design of Hybrid Materials lab, is devoted to understanding and simulating the ways molecules move and interact — crucial to creating a new material. In recent years, machine learning, a powerful subset of artificial intelligence, has been employed by materials scientists to accelerate the discovery of new materials through computer simulations. Deshmukh and his team have recently published research in the Journal of Physical Chemistry Letters demonstrating a novel machine learning framework that trains "on the fly," meaning it instantaneously processes data and learns from it to accelerate the development of computational models. Traditionally the development of computational models are "carried out manually via trial-and-error approach, which is very expensive and inefficient, and is a labor-intensive task," Deshmukh explained. "This novel framework not only uses the machine learning in a unique fashion for the first time," Deshmukh said, "but it also dramatically accelerates the development of accurate computational models of materials." "We train the machine learning model in a 'reverse' fashion by using the properties of a model obtained from molecular dynamics simulations as an input for the machine learning model, and using the input parameters used in molecular dynamics simulations as an output for the machine learning model," said Karteek Bejagam, a post-doctoral researcher in Deshmukh's lab and one of the lead authors of the study. The best part? Regardless of how accurate the predictions of machine learning models are, as they are tested on-the-fly, these models have no negative impact on the model optimization, if it's inaccurate. "It can't hurt, it can only help," said Samrendra Singh, a visiting scholar in Deshmukh's lab and another author of the study. "The beauty of this new machine learning framework is that it is very general, meaning the machine learning model can be integrated with any optimization algorithm and computational technique to accelerate the materials design," Singh said. 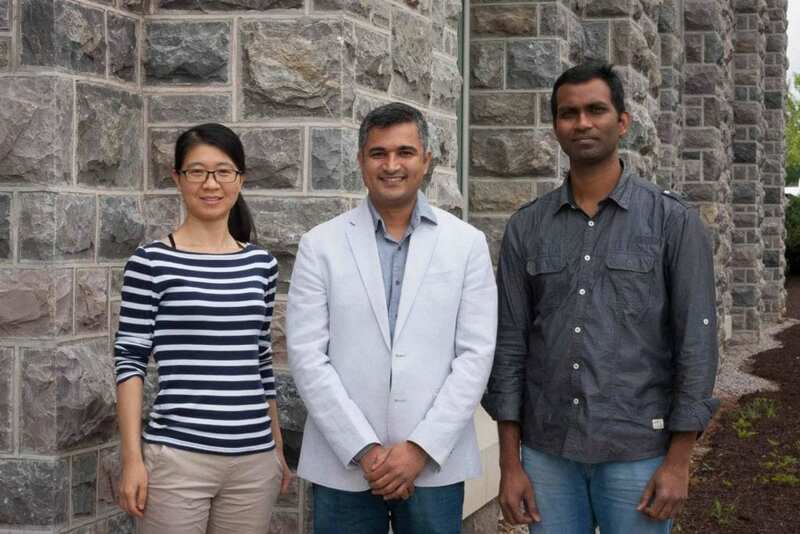 The publication, lead by Bejagam and Singh and with the collaboration of chemical engineering Ph.D. student Yaxin An, shows the use of this new framework by developing the models of two solvents as a proof of concept. Deshmukh's lab plan to build on the research by utilizing this novel machine learning based framework to develop models of various materials that have potential biomedicine and energy applications.